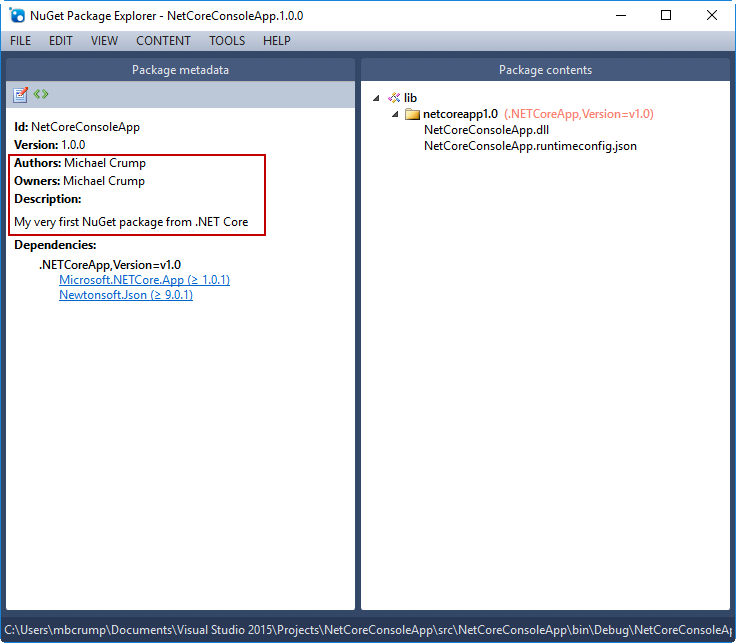 In this post, we’re going to look at how to create a NuGet package from a .NET Core app that we have already been working with. Before we begin, make sure you have the app found here if you want to follow along. After opening the app or downloading it, open the folder containing the project in the command prompt. The first file is the NuGet package file and the second file contains the symbols. But how do we see what is inside? 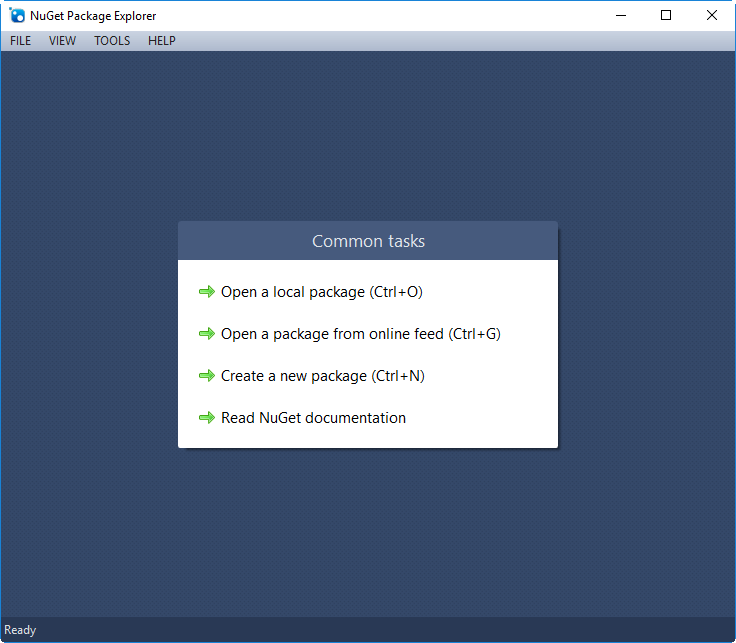 You should begin by downloading NuGet Package Explorer installer from Codeplex. Hit CTRL-O and selecting the NetCoreConsoleApp.1.0.0.nupkg file from your \bin\Debug folder. Notice that is is missing a proper author and description. If we look at the dependencies, then we can see it is dependent on .NET Core 1.0.1 and Newtonsoft.Json. 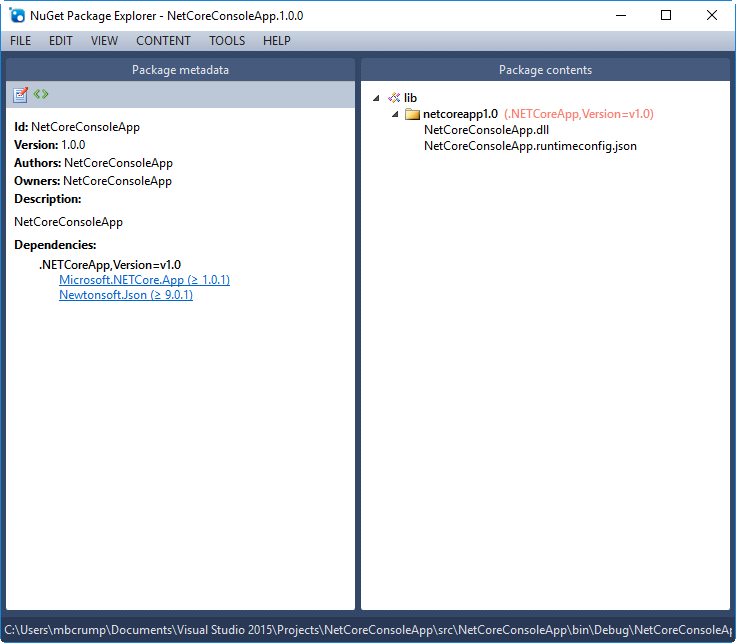 If we expand lib, then we can see our NetCoreConsoleApp.dll that we’ve examined in the previous post. Great, so this is a package that we can use, but we need some help adding in an author and description. We are going to add in an author and description to our NuGet package. To begin, you may want to bookmark this page. It explains in depth how you would do this, but for now you can just follow this guide.